A Guide to Mail Order Succulents - Sucs for You! If you’re like me, you want all the sucs, but your local selection is lacking in the variety department. You’ve seen all of the options about buying plants online but are tentative about committing to an order. I’m here to encourage you to go for it! First, read what I’ve learned to help make sure your order stays alive and what the process is like when your shipment arrives. Quantify: Be honest about your level of commitment to your growing collection. If you’re new to the game, play it safe and start with a smallish order. You can still enjoy a variety of plants, but pick out a few that will be easy to keep happy or that you’re already familiar with. Climate changes: Choose specimens that aren’t going to freak out and die on arrival due to drastic climate differences. For example, a lot of Aeonium varieties haaate humidity and extreme heat, and my city is extremely humid and hot half the year. I’m not saying don’t take risks, but to opt for a less expensive risk, like choosing a smaller size if that’s an option. You can also wait until the weather is closer to your picky-plant’s liking. In fact, I may try Aeoniums again before the temps heat up, as they’re winter growing and might be a bit hardier about acclimating to our lovely tropical hell. On arrival: The big day is here! You open your door to see a package and you just KNOW it’s your plants! Before you tear open the box and start unwrapping your new toys purchases, grab a tray or lay down some newspaper because things can get a little dirty. Even if you ordered bare-rooted plants, there’s usually still some soil to deal with. One reader, @miss_taken_identity, asked what the benefits are of ordering potted plants vs. bare-rooted, and the answer is two-fold. Of course there’s less shock to the roots while traveling in a box if the roots are still safely tucked into soil, but things get much messier. I think if a plant can be shipped safely without dirt, I prefer bare-rooted. And to answer @mysuccyjourney‘s question about how to package succulents to send off to loved ones, the best way to find out is to order you’re own! My Fairyblooms orders come in a priority shipping box labeled ‘Fragile- Live Plants – This Side Up’ but that doesn’t mean anything to the delivery companies. Luckily each plant is individually double or triple wrapped in tissue paper and surrounded by additional stuffing to keep things tucked into place in the box. It’s as good as your birthday when your order finally arrives and just thinking about unwrapping those little gifts has me grinning over here! It’s so much fun and whether you order for yourself or someone else, you’ll be making it rain smiles for days! Sun Exposure: Please learn from me and don’t fry your plants. When your package arrives, you’ll be very excited to take them out of the box and display them in all their glory. Here’s what you don’t do: You don’t take them out of a dark box where they’ve been sheltered from light for however many days then thrust them into full sun. If you do that, they will burn and become unsightly and/or die. How do I know? We’ll just say it’s taken several dead plant-homies to drive this point home in my own brain. 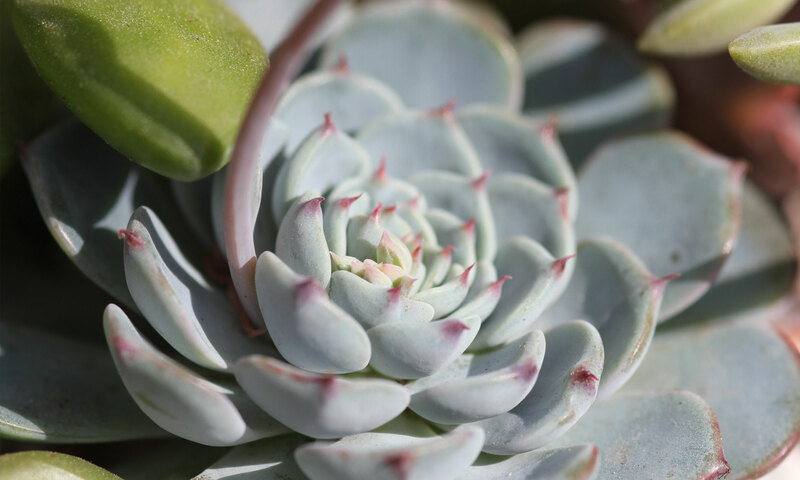 Watering: Along the same lines as above, your plants will probably acquire a few travel boo boos that need to heal before you water them to prevent moisture from getting inside the plant cells and causing rot. If you plan on potting them up right away, remove any dangling/dead leaves and be sure to use DRY soil. If you’re patient, remove the danglers then wait a day or two before potting them up. A lot of the loosies can be propagated so that’s a plus to losing a leaf. When you water, do so sparingly at first to avoid too much shock. New town, new home, new soil, new pot…it’s a lot for a little plant to get used to, but they’ll be fine if you know these easy rules, and now you do! Go for it: Finally, for a good time, check out this video of an unboxing I posted on my Youtube Channel a while back and please subscribe! I’ve listed all of the IDs in the video description but please don’t ask me to pick a favorite—I love them all!